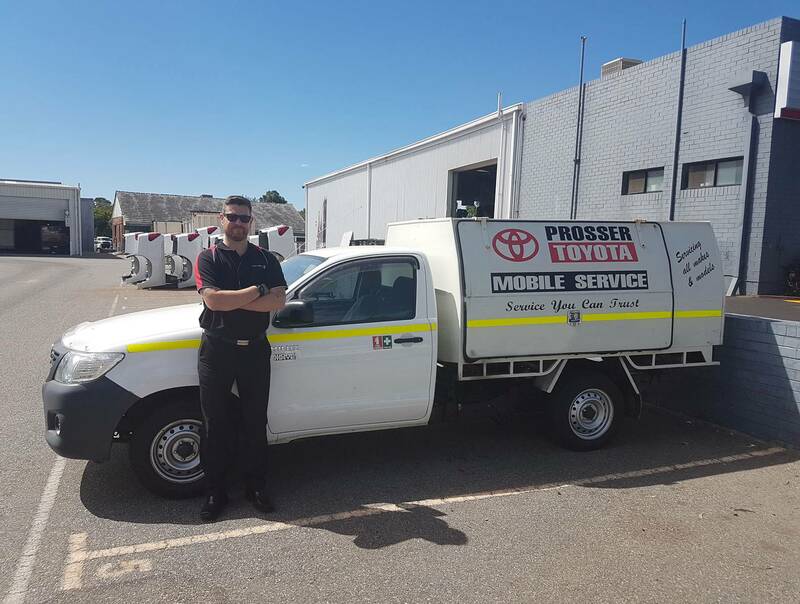 Canning Vale Toyota is your local dealer that offers mobile servicing, we come to you at a time and place which suits you, whether at your home or the office so you’re back on the road as soon as possible. Our fully qualified Toyota technicians offer you a premium service along with recommendations for safety, reliability or better performance are discussed with our guests. That’s why we insist that every technician who works for us goes through a rigorous training program to become knowledgeable about all Toyota models - Whatever Toyota you drive, you can rest assured that our technicians are more up to speed on what’s under the bonnet, and have access to the right diagnostic tools. Our mobile Toyota technicians are completely equipped to perform a range of service work and repairs on the spot. The mobile unit is fully equipped to take care of your Toyota's minor log book servicing requirements in the local area. A $45 call out fee applies to vehicles outside the 10km radius from Canning Vale Toyota.